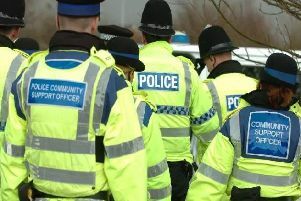 Lancashire Police have warned about two scams that have been uncovered in the north west. Police have warned about two scams that have been uncovered in the north west. The first was reported by a Neighbourhood Watch Coordinator after an elderly woman received a call from a con-artist claiming to be the council. The con-merchant informed her that she was paying too much council tax but would need to pay an upfront fee to receive her discount. At this point the lady realised it was a scam and told her neighbour who reported the incident to the Neighbourhood Watch. In a second incident a man approached an elderly woman at home and insisted that she needed new windows, say police. The man walked away with a cheque for £1400 despite the fact that her windows did not need replacing, police added. Fortunately, the cheque was stopped by family members before the money left her account. In a post to their Facebook page, a spokesman for Blackpool Police said: "A neighbourhood watch coordinator reported that an elderly neighbour received a phone call recently from the council informing her that she was paying too much council tax. "She told them she already receives single person discount but they said she was still entitled to a bigger discount. They said they will just run through some details with her and get the paperwork processed. To process the paperwork there would be a small upfront fee at this point she realised it was a scam. "The lady then reported this to her Neighbourhood Watch Coordinator who has since spread the word. "Another scam involved a man approaching an elderly resident and insisting she needed new windows. The lady has then handed over a cheque for £1400 to have new windows fitted. The lady already had double glazed windows and didn’t need the new windows. "Luckily her family managed to stop the cheque in time before the money left her account." Anybody with any concerns about scams please report to Action Fraud on www.actionfraud.police.uk or 0300 123 2040 or sign up to www.stayintheknow.co.uk for regular crime alerts.